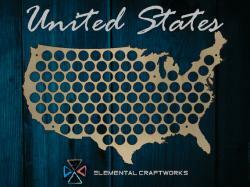 Curtiss and Andrea Dehn of Zimmerman, Minn., produce laser-engraved and laser-cut custom craft supplies, including beer cap maps and displays, wood and acrylic tags, wood and mirrored monograms, as well as various shapes. They sell primarily on Etsy, but will do custom work. Check 'em out at their Etsy store. Custom design, remodeling, exterior improvements, green construction. 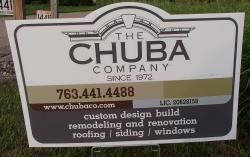 More information at CHUBA's website.